If you want more information on anything you have seen on this site then contact Andy Farrell on 01159389965. 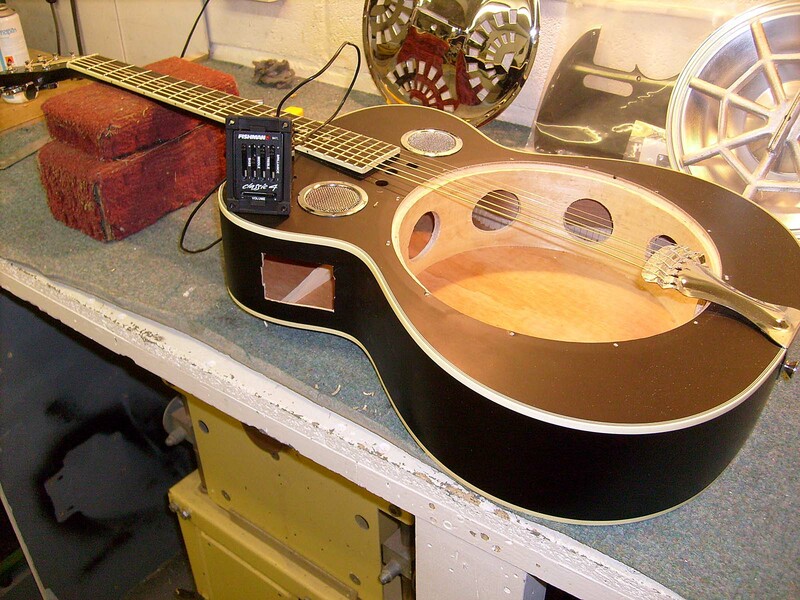 Pro Set-Up section five often reveals problems such as poor pick-up output, earth buzz, crackling pots, switches etc. The replacement of electrical components is not covered by a Pro Set-Up. Note: Due to warranty issues we no longer install or repair active electronics including sustainer kits, inboard synth kits etc. All passive repairs and installations welcomed. Please note that I do not follow on from failed D.I.Y wiring mods and pickup installations as damage may have occurred to components due to bad practise. It is unwise to attempt this action unless some degree of experience in soldering is present, connecting electrical components using lead solder is a skill in it's self. In my experience have a go rewires and component replacement usually end in tears, the only solution from my prospective is to rip out and discard expensive parts and start afresh. To some degree this endeavour is spurred on by the seemingly endless Internet wiring specs 'some of which are incorrect' encouraging the amateur to save costs often resulting in even greater costs in order to correct the damage caused by lack of skill and experience. I would also like to recommend caution when purchasing used pickups etc from Internet auction sites as I have experienced a high fail rate in this direction. Les "P" Three Pick-Up conversion. 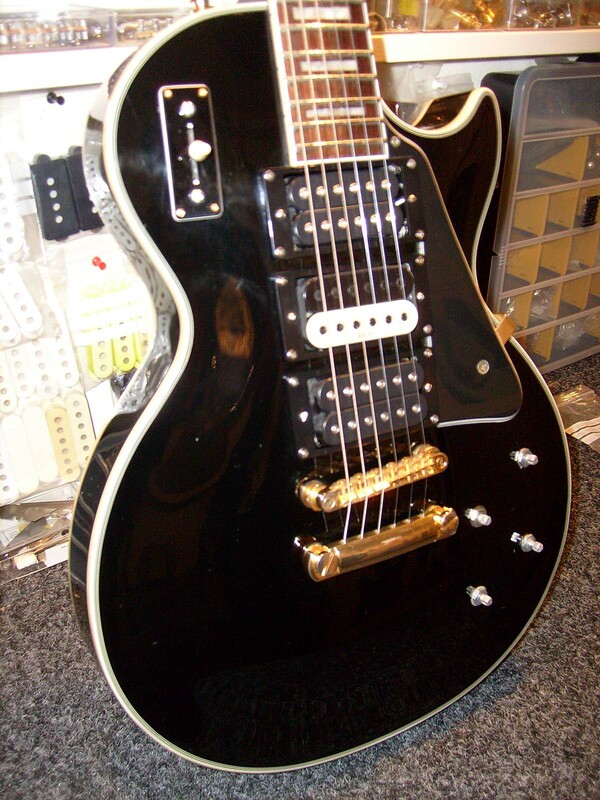 Using three four wire humbuckers, one five way switch and four push-push pots many sound combinations are achieved. 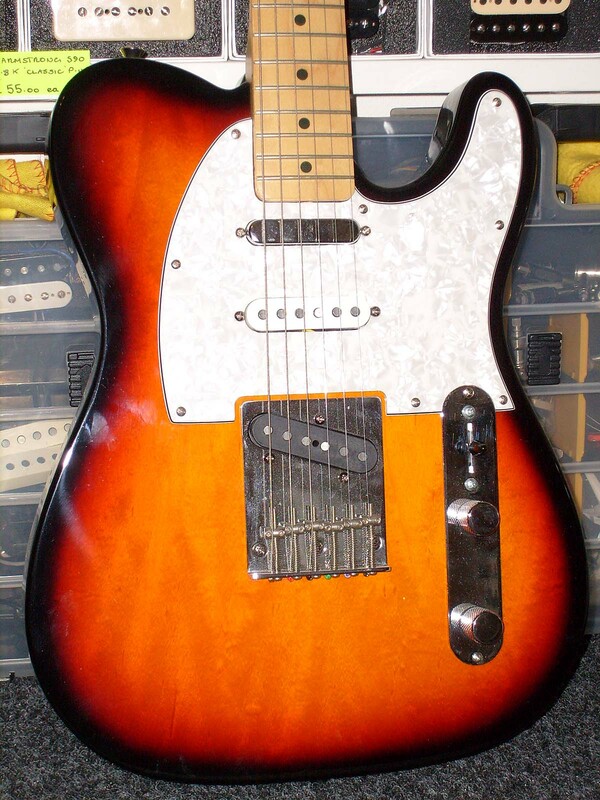 Using three Pick-Ups, one 5-way switch and one Push-Push Pot seven pick-up combinations are achieved. A bridge too far! It will never work! 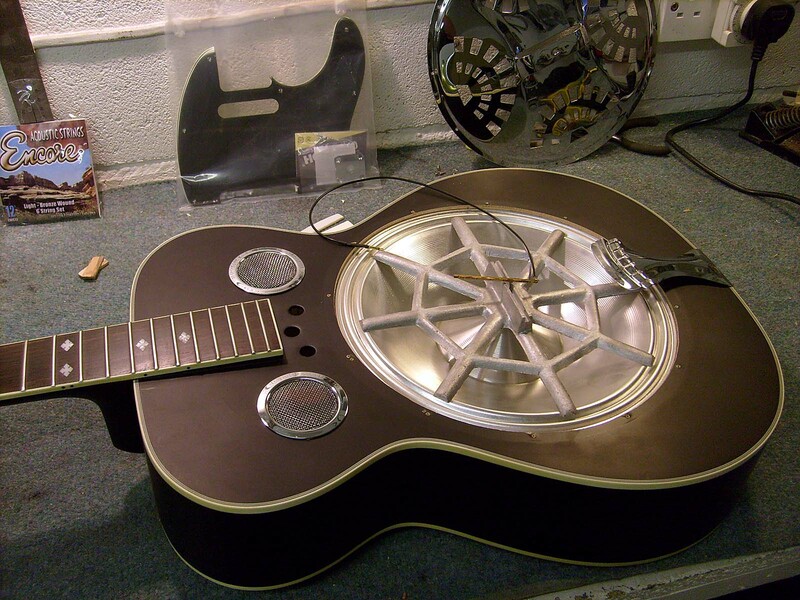 Just a couple of the printable comments prior to fitting an under saddle transducer and eq unit to a resonator guitar (well it wasn't and it did) or at least those who have played the guitar think so!